Callahan & Associates uses its expansive credit union industry data to conduct specialty research and craft reports on key business areas. Distributing dividends is a cooperative-friendly way for credit unions to express their thanks and appreciation to members for their patronage. How credit unions distribute these payments varies, but often the dollar value is scaled to the amount of products and services the member uses. In September 2015, Callahan surveyed credit union CEOs and CFOs regarding their patronage dividend attitudes and activity. Check out the results in the 2015 Patronage Dividend Report. Accurately measuring your credit union’s performance is the foundation to making successful strategic decisions. What’s the best way to do it? By benchmarking your credit union against other similar financial institutions. Benchmarking regularly lets you gain a better understanding of your market, monitor progress towards goals, identify trends, and avoid performance pitfalls. Optimize your benchmarking efforts to start strengthening your credit union. 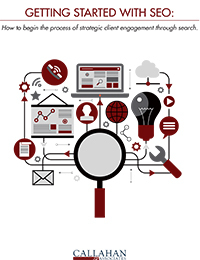 SEO is a practice with one goal: ranking #1 for specific search terms on search engines. The terms in question? Anything and everything related to why your members' personal financial needs are best met by your credit union. Since the industry truly launched over a decade ago, the rules have changed on an almost seasonal basis, but one fact has always stayed the same: create useful content to engage with your members, and the #1 rankings will follow. On January 10, 2014, The ATR/QM rule, which opens credit unions to new compliance procedures and potential liabilities, goes into effect. 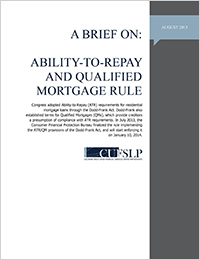 This report by Callahan & Associates provides a summary to bring credit unions up to speed with an easy-to-understand definition of ATR and QM, a high-level overview of the eight underwriting requirements under ATR, potential liabilities of non-compliance, and the benefits of originating QMs. The 5300 Call Report requires credit unions to report on two non-interest income categories: fee income and other operating income. In reality, there are several sub-categories that comprise these two main ones, and it is important for credit unions to understand how each component drives non-interest income in comparison to their industry peers. Callahan & Associates’ annual year-end survey provides detail and insight into this important source of revenue and highlights industry trends in non-interest income that are not readily apparent in the 5300 Call Report. The 5300 Call Report groups marketing expenses into one category: educational and promotional expenses (account code 270). However, marketing dollars are funding an increasing number of channels, and many credit unions are wondering how they stack up against their peers. The rising importance of resources such as social media make it difficult for one category on the 5300 to capture expenses or offer insight into areas for opportunity or improvement. With this in mind, the inaugural 2013 Marketing Budget Survey by Callahan & Associates highlights marketing trends that are not readily apparent in call report data. Many credit unions are aware of loan participations but do not know how to use them. 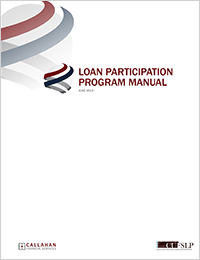 Whether you’re interested in learning more about loan participations or are ready to buy or sell, Callahan’s Loan Participation Program Manual is a great resource to help your team get started. The first section provides an educational overview of loan participations while the second half offers forms and model documents for those credit unions that are ready to implement a program. 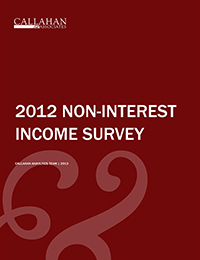 Credit unions report non-interest income in two main categories on the 5300 Call Report: fee income and other operating income. Without a more detailed breakdown of the various components that comprise non-interest income, though, it can be difficult for credit unions to gauge how effective their strategies are in comparison to their peers. 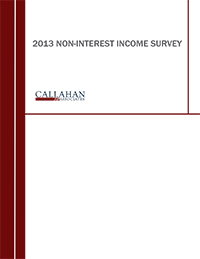 Callahan & Associates’ annual year-end non-interest income survey highlights trends in non-interest income that are not readily apparent in 5300 data and helps credit unions obtain better picture of this income source.